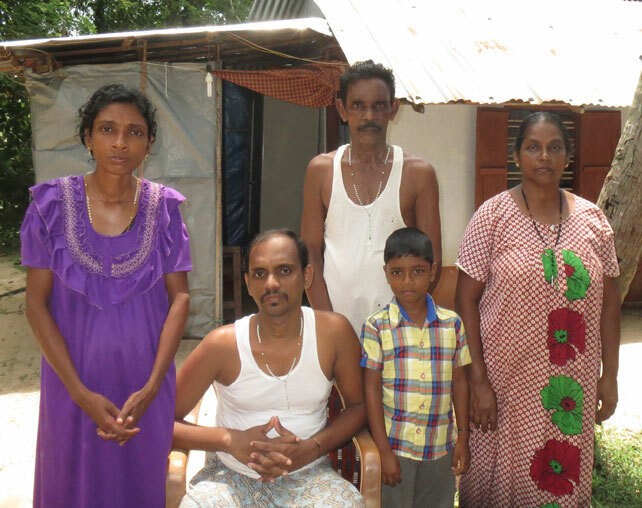 Here is the Puthenpurakal family story: Stalin and Ligimol were providing for their son and their elders when the husband, Stalin, became ill and required surgery which left him partially paralyzed. Today, Ligimol, the wife, struggles to make ends meet. They have lost their home and are renting a small shack. Their hope for a better future rests with the continuing education of their 7-year-old son, Joseph. You can read the full story of the Puthenpurakal family here. The Franciscan Family Apostolate is eager to help them by providing support for Ligimol to develop a dependable stream of income for the family. Your support will mean the family will be better able to care for Stalin and put nourishing food on the table each day. To learn more about sponsoring a family, please click here. To sponsor Ligimol and her family, please click here.